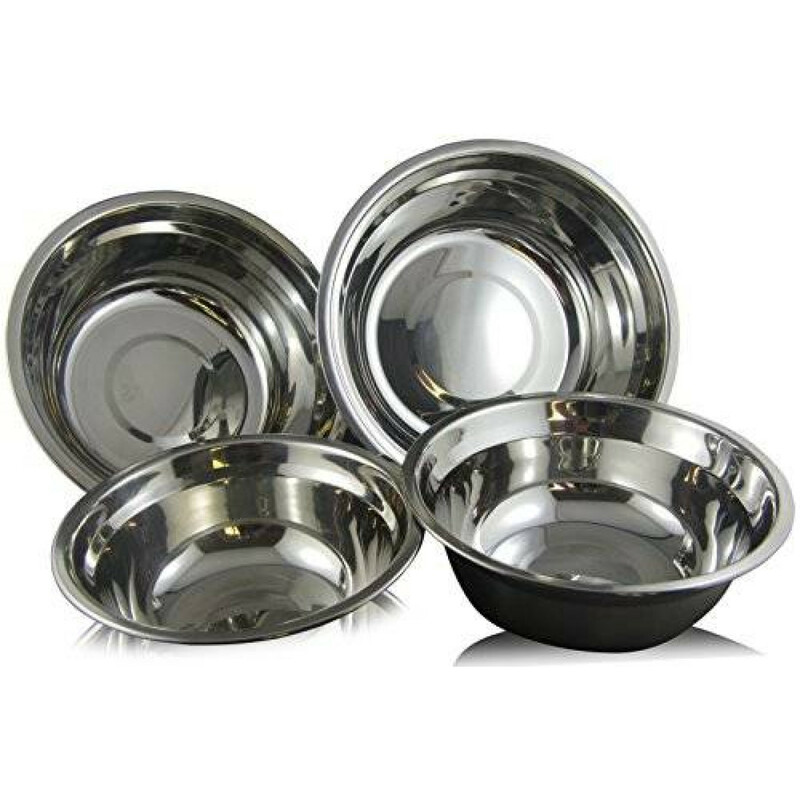 Solid, sturdy stainless steel construction for maximum durability - our bowls won't crack, break or melt! Set includes 4 different sizes (7, 8, 8 ¾, 9 ½) that nest together for easy storage. Hundreds of uses for every size - mixing, whisking, beating and general food preparation - the most versatile tools in your kitchen! A must have for all pastry chefs - stainless steel will help keep your food cold during preparation - very important for good results with pastry. Easy care! Hand wash or clean in the dishwasher - it doesn't get easier than that! The Work Horses of Your Kitchen! Unbreakable and inexpensive, it's not surprising that stainless steel mixing bowls are the top choice for most professional chefs. Deliberately designed low and wide with heavy, flat bottoms to stay securely on your bench while mixing, you'll find hundreds of uses for these versatile bowls. Able to withstand the heavy use of even the busiest of kitchens, Checkered Chef stainless steel mixing bowls can be used for just about anything. The smallest bowl in the set (7 wide) is the perfect size for whisking up an egg or 2, while the largest (9 1/2) will fit your whole cake batter. Using only rubber or silicone utensils will help the bowls maintain their shiny mirror finish for many, many years to come. They won't melt or absorb oils and odors like plastic can. They won't chip or break like glass, and they are lighter and easier to use than ceramic. Whether heating or cooling, the insulating properties of stainless steel bowls make them hard to beat. Keeping the bowls cool can help prevent splitting and curdling of mixtures. Achieve your fluffiest egg whites yet for meringues and mousses. For heating, the bowls can be put over a saucepan of simmering water for an instant double boiler - perfect for melting chocolate! 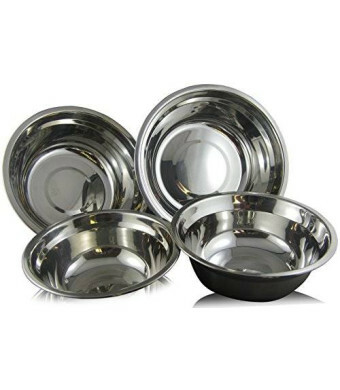 Find out why stainless steel mixing bowls are the favorite of professional chefs and a must have for every kitchen by ordering your set today. Buy from the brand you can trust with Checkered Chef's 100% satisfaction guarantee, add a set to your cart today.